Email Marketing for business guide (Intermediate) [ebook] Always be transparent about your identity as the email sender and what company you work for. Never assume the identity of others in a company email to mislead subscribers. Don't Use Deceptive Subject Lines: Subject lines must match the content of the email, never mislead subscribers to get them to open your emails. Identify That the Email is An Ad: Include in small print at the bottom of your emails that alerts your audience that this email is indeed an advertisement. Provide a Physical Location: The address of your business should also be included in small print at the bottom of your emails to help clarify that you are not a spammer and that there is another alternative way for subscribers to communicate with the business to request removal from their email list. Let Recipients Know How to Opt Out of Future Emails: Ensure that it is extremely easy for a person to unsubscribe from your email messaging with an opt-out button at the bottom of an email. Honor Opt-Out Requests Promptly and Honorably: After someone submits a request to opt-out of your email list, it is required that this process is quick and effective. 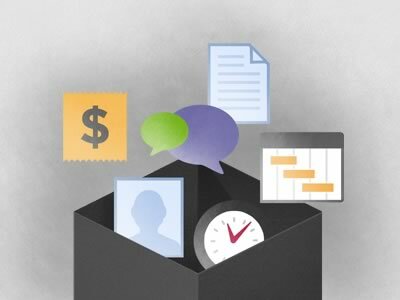 Luckily, most email service providers make the opt-out process simple for businesses to implement and for regular people to use. Monitor What Others Do On Your Behalf: Your business is responsible for the actions of others that are authorized to send emails on your company’s behalf. Therefore, be sure to monitor employees, partners or agencies that represent your business. 15. Confirm permission was purposeful with double optins. After a person signs up for your list, ensure with an autoresponder email that they truly intended to sign up and that the email they signed up with is valid. This is an effective way to ensure that they really wanted to be on your list and that this subscriber is not a spam bot. 16. 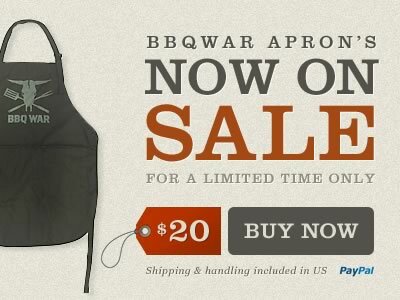 Offer exclusive discounts, sales and giveaways. To keep your subscribers engaged over time, as well as aware of the value of being a subscriber, offer contests, promotions, sales, promo codes and discounts that are exclusive to your list. Some offers can tie in with a greater marketing campaign, but some of these offers should be solely provided to your list as a thank you and incentive to stay subscribed for the long-term. 17. 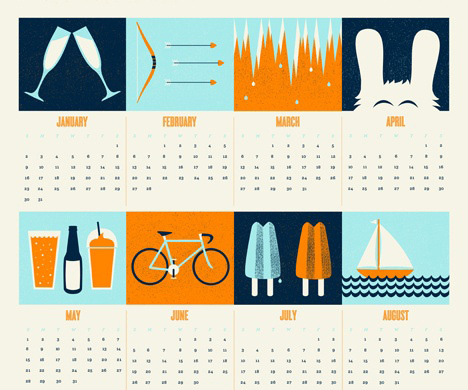 Align your messaging with relevant events, holidays and trends. Tie in your messaging to current events by offering sales related to popular holidays, content geared towards trending topics in pop culture as it applies to your business, and your perspective on mainstream conversations. Often referred to as “newsjacking”, it is the act of taking relevant, newsworthy events and applying them to your business’s marketing in an impactful way. Newsjacking consists of everything from giving your in-depth perspective on a relevant news story like what HubSpot did with this post about Yahoo’s Tumblr acquisition to adding a relevant comment to a trending topic like what Oreo did on Twitter during the Super Bowl. 18. Be clear from the beginning on what subscribers should expect. Be clear from the moment a person is about to sign up for your email list that their information won’t be shared, what type of messaging they will receive, that they can unsubscribe at anytime and any other information pertaining to their sign-up that they should know from the start. By providing this information and getting their permission to join your list, it will help ensure the list is made up of quality subscribers that are interested in receiving your future messaging. 19. Provide incentives for continued signups. Offer prizes, discounts and specials to members of your email list that refer others to the list via email or social media. Set up a customer referral program that lets subscribers know what they could receive for adding quality subscribers to your list from their network of friends and family. 20. Build trust overtime, then push a sale. Tied together with balancing content and commerce, trust is built overtime by consistent and transparent messaging in your emails and messaging across the company. Do what you say you’re going to do and subscribers will begin to expect you to follow through on your word. If you can’t follow up on your word, then apologize and remain human. With strong loyalty and trust, your email subscribers will be more likely to purchase from your business in the future when the time is right to sell to them. 21. Focus the best content or most popular products above the fold. According to Campaign Monitor, the average email is read for only 51 seconds, therefore the first impression really counts. Place your strongest call to action above the fold as well as the most engaging content and products that will definitely engage your customers to click, read the email further, or make a purchase. This is one of your only chances to make your email enticing for subscribers. 22. Sync emails with corresponding landing and product pages on your website. When offering products or services on a landing page from a specific email, sync the design, calls to action, compelling copy and the products featured to make the email, landing and product pages more effective as a unit. Consistency is crucial for an enticing email campaign. 23. Constantly test your emails in different browsers and email clients. Ensure that your email client is properly rendering your email content on the most popular web browsers like Internet Explorer, Google Chrome, Firefox, Safari or Opera as well as the various options for desktop email clients, web based email clients, tablet and mobile devices. 24. Make it as easy as possible to unsubscribe. 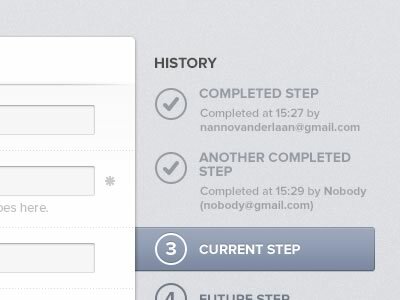 Starting today, setup a one-click unsubscribe button at the bottom of all your emails. This will make it very easy for people to unsubscribe, which you would think you wouldn’t want to do, but it is really important to do to prevent upsetting past, current or future customers with unwanted messaging or a lengthy unsubscribe process. Set an autoresponder to send an email after a person unsubscribes asking if the unsubscribe was a mistake or not, to prevent any accidental clicks that could lose an interested and active subscriber. 25. Monitor the unsubscribe rate daily, weekly and quarterly. Check your unsubscribe rate often to ensure that it is either remaining consistent, decreasing or is not increasing significantly. 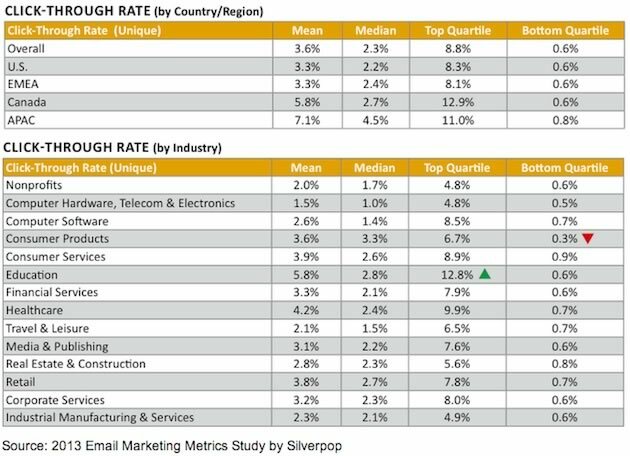 The average unsubscribe rate across industries is 0.27%, says Swiftpage. If you have a higher unsubscribe rate, it may be time to do a detailed analysis of your email marketing campaigns to understand what content is working and what content is not. 26. Survey email lists, especially unsubscribers. Occasionally survey your email lists to better understand the type of content they’re looking to receive from your business. You can then respond by sending those forms of content when reasonable. Also survey unsubscribers as to the reason why they unsubscribed to receive valuable feedback. This information can help your team better understand why people might be leaving your list and give insights on how to alter your strategy to reduce the rate of unsubscribes if any patterns emerge. 27. 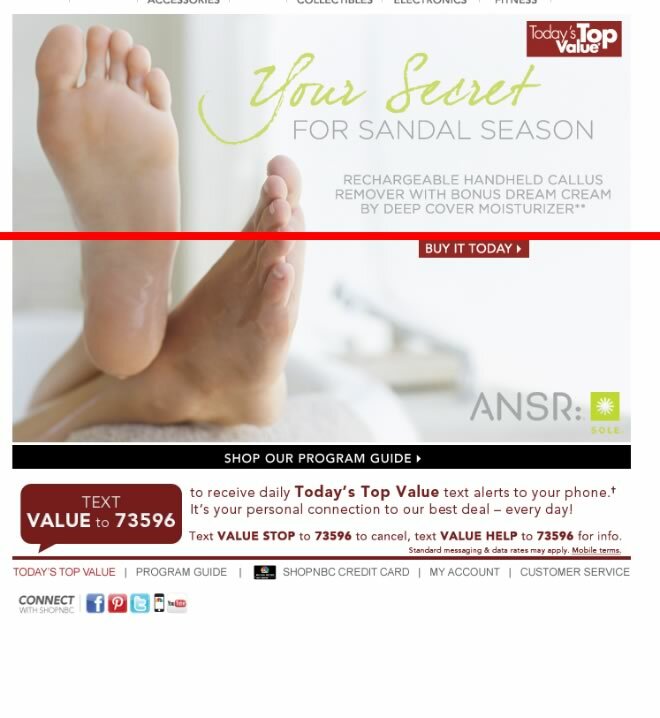 Emails should be readable without images. Offering your emails in both HTML and plain text as discussed above is important, since HTML is formatted with visuals and plain text is not. Ensure that when viewing the plain text version of your emails, that the text is clear, concise and readable. Format the plain text version of your email to make it as beautiful and engaging without visuals as possible. 28. Make it easy and simple to sign up. Many businesses can’t help but over complicate both their emails and their email sign up forms, which only really leads to confused customers. Often marketers think that more calls to action, sales, feature sets, images and lots of product features is better for their customers in terms of offering many options but in fact, in can lead to overstimulation and lower click thru rates or even worse, fewer sales. In a recent study by Columbia University, participants had the option of tasting either six samples of jam from one table or twenty-four samples of jam from another. More people ended up stopping at the table with twenty-four options, but when it came to sales only 3% of customers purchased from the table with more options, while 30% of customers purchased from the table with only six options. Therefore, the study helped to prove that there is such thing as too many choices or a concept known as choice overload. A simple email, landing page or sign up form will have a higher conversion rate and drive more sales if the each of those aspects of your email marketing strategy are strong enough on their own with concise copy, quality images, strong incentives and a clear call to action. Simplicity is really the key to success, which is highlighted in the example below with one promotion featured, front and center. What does remail mean? A remail is when you resend an email to your list that was previously sent, this time with a few changes to alter it enough to provide value. Now, it is never recommended to just duplicate content that you have created and blast it back out to your customers with no thought, effort or care. However, there is a difference between repurposing your content and duplicating it completely. Look to alter the appearance or messaging of your email content and then send this remail to a certain segment of your list to expand the reach of the original message. In a sense, you’re recycling the first email to extend the reach of the sale, announcement or news you sent to your list in the first place but to members of your list who may not of opened your email or clicked on its content the first time. 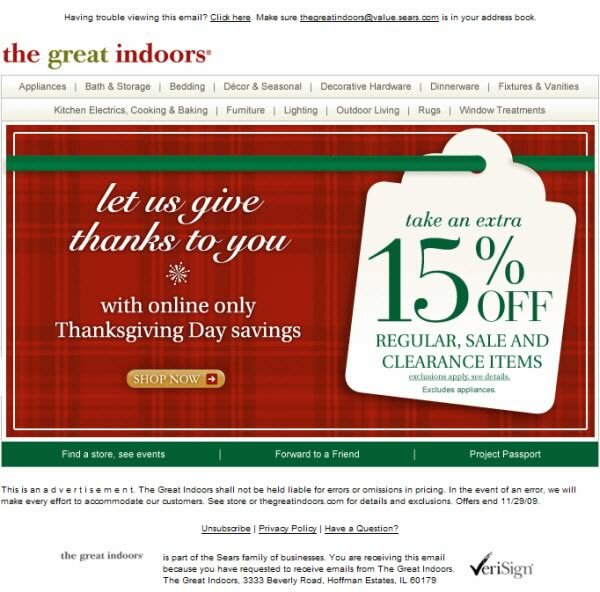 Waldow Social originally pointed out this example from Pottery Barn above by sharing the fact they altered the coloration between emails and changed the call to action from “Off Your Order” to “On Your Order.” Look to emulate this practice with your emails by repurposing content to be used again with a segment of your existing audience. Everyone knows popups can be annoying on certain websites and can be taken as spammy, reducing the credibility of a website. 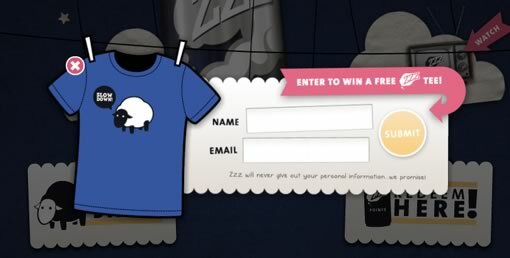 However, many don’t know that the right popup form can help grow your email list by 75-80%. Popups aren’t right for every industry, but for many they work wonders for converting visitors to subscribers since it captures attentions quickly once you’ve landed on a website. Setup a popup on your blog or homepage for when visitors first land on your website that encourages them to sign up for your list and the benefits of doing so. 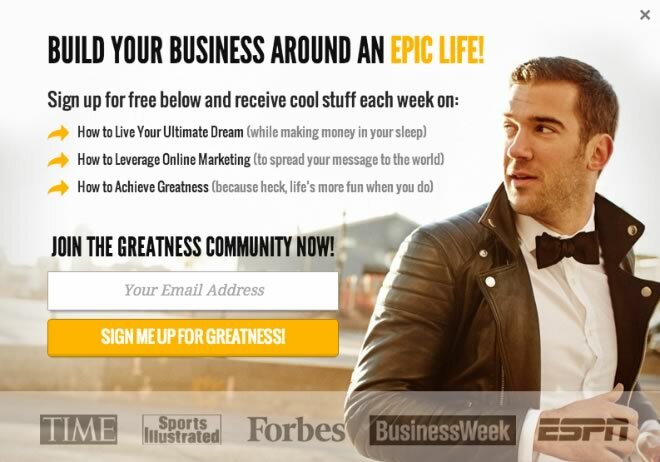 In the example above from Lewis Howes, he makes sure to include an extremely simple form with a strong call to action, a list of benefits for people that sign up and the logos of where he has been published to highlight credibility. Some information in your company’s email messaging is best left to the imagination, which is what will help increase your open rates and click thru rates every time. Offer sales and discounts but purposefully leave out which promotions match with what products, forcing users to click and browse through your website. Like mentioned before, DO NOT overcomplicate an experience for your customer, merely bait them to find out more by visiting your website. Using email autoresponders throughout the experience of your website can help move a lead to become a customer if utilized correctly. Your autoresponder strategy should be focused around personalization, retaining interest in your business, providing value and always remembering to say thank you along the way. These email triggers should be used to welcome someone to your list, reach out to customers for a phone call once they’ve downloaded some of your website’s content or to help your company stand out. For instance, add your personal voice to each email trigger, especially when an email is sent to someone who didn’t respond the first time. Customize the message every time to acknowledge they didn’t answer the first message and that this is your second attempt at bringing them value. Share your company’s personality in these autoresponders to help bring the customer’s experience with your business full circle. 33. The frequency of your emails is critical. 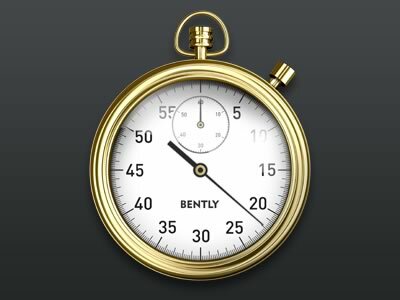 Defining both the timing and frequency can drastically affect your email open and click thru rates. If you have the best offer, content and products but the timing is off, it could all go to waste when it comes to your email efforts. Setup a strategy from the beginning that clearly lays out what time a day and how often you’ll be sending your messages each week. From your strategy, start testing what emails work best at different times and frequencies for the various segments of your list. Be careful when sending email during the weekends and holidays because they can be both lucrative and meaningless if the right approach isn’t taken. To prevent your best email efforts from getting lost in the shuffle, send your content ahead of time to be seen later on the weekend or holidays. One tactic to help build your list that businesses don’t often utilize as much as they should is to host webinars or Google+ Hangouts on Air. By hosting an informative discussion about how to better utilize your products, industry updates or other educational material; you can start to build the trust and credibility with your audience that leads to more email subscribes. A webinar or Google+ Hangout allows you or an individual at your company to share your knowledge on a particular topic through audio and video, which is more effective then many other channels for driving credibility and loyalty from customers. Experiment with either option to see what works best to drive more potential customers to your email list after you’ve gained your trust. The email form is one of the most important parts of your email marketing strategy that can help drive more sign ups to your lists or become a major roadblock to your success. Experiment with color, calls to action, button size, if the button is raised or flat and more to find out what’s the best match for your website. A/B testing your email sign up forms will help your business decide which form helps convert more visitors. Related to one of the previous points above, always keep the design, layout and function simple to ensure the best reaction from your audience. Personalization can work to build your email list and grow your customer base for the long-term. Start small by making a few segmentations in your email list that your company can continue to build upon. Emails that provide a specific context for your recipients will have a much higher conversion rate when it comes to driving open rates, clicks and sales on your website. Multiple studies can attest to the fact that personalization leads to higher conversion rates overall. Take advantage of tactics like using an email subscriber’s first name in the email, including the recipient’s location in the email subject line or experimenting with unique calls to action with different segments of your list. 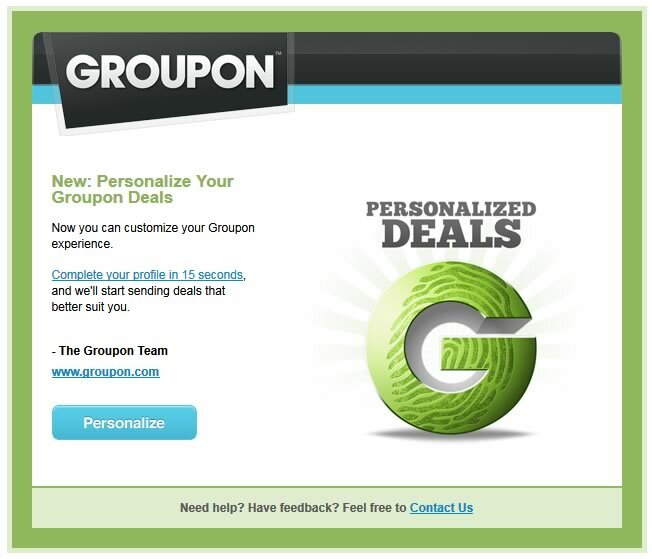 Last but not least, give your list the ability to customize their own email profile to ensure the most relevant messaging is being sent to them as seen above with this example from Groupon. The biggest secret to email marketing is to not be tied down by all the rules of what should and shouldn’t be done. It is really important to experiment and see what resonates with your audience the best. The emails that have seen the most success for companies are the campaigns that have differentiated themselves from other emails, entertained their audience, drove value, offered the best deals or personalized the email to the right context for their users without regard for best practices. Breaking the rules is a fine art, but it is possible with the right approach to your customers. ModCloth launched this campaign to help better personalize their future emails by making it fun for their users to fill out their surveys. By understanding what your audiences likes and dislikes you’re able to customize the content sent to them on a regular basis to increase interactions and drive more sales. 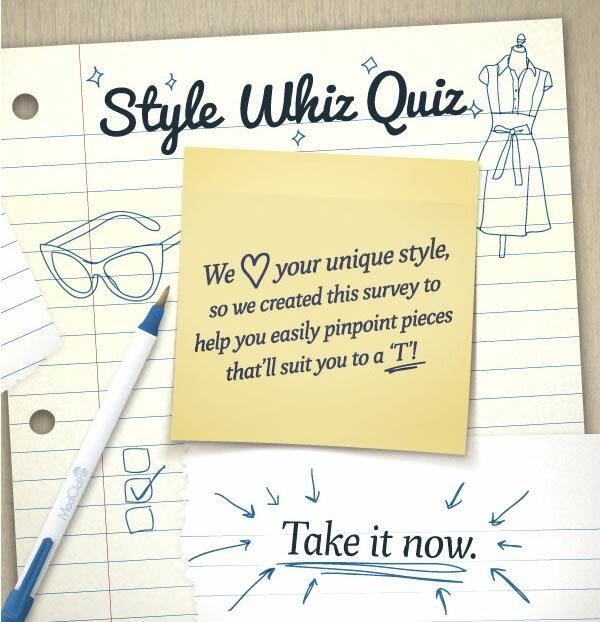 ModCloth changed a boring personalization survey into a style quiz, which made the email exciting to customers and extremely value to the company. Break the rules like ModCloth by experimenting and customizing your approach to get more traction from your list and bring more value to your customers. It may seem like a no-brainer, but you’d be surprise how well a little respect works to build the trust and loyalty of your email list. Going out of your way to remain human across your email marketing actions will help members of your list feel a tangible connection to your business and its messaging. Make all of your messaging on brand, in the right context and easy to understand to gain the continued respect of your list. Consistency shows your audience what you are likely to deliver in the future, which is quality messaging and thoughtful interaction. Lastly, always be sure to make it very easy for subscribers to unsubscribe if they choose to. Not spamming or forcing your customers to take an action with your email list in anyway will go a long way towards gaining their respect. Consumers today are genuinely overwhelmed by the amount of information coming to them everyday from advertisers, which makes it hard to get your message to resonate. Spend time, money and effort on creating messaging for your email that is newsworthy, in the right context, exclusive and drives home the value of your business. Offer your audience exclusive access to your story, behind the scene processes, deals or promotions and a look at the human-side of your business. If your subscribers have a genuine reason to read your content then there will be many reasons for them to return again to your messaging, making it more likely that they’ll convert from lead to customer over time. Make it simple for you subscribers to become leads, starting with your email and then moving to a landing page. Give concise call to actions from the content in your emails to effectively educate subscribers on what the landing page will entail when they visit. Don’t surprise them with unexpected steps or additional requirements to continue through the buying process. Spell out what your product and service offering are in your email content and then highlight the benefits and incentives for continuing forward to a landing page. Guiding leads through each step of the buying process is called nurturing a lead, which can be done through an email newsletter and through personal emails to a prospective lead. Constantly ask yourself questions about the success of your emails when it comes to generating quality leads for your business. Look for increases and decreases in the open rate, click thru rate, spam percentage, action rate over time, bounce rate, compliant rate, unsubscribe rate and the number of unsubscribes to determine how your email messaging is performing. By paying close attention to those metrics, you’ll be able to identify what is working and what is not to quickly pivot and adapt your strategy to the needs of your audience. For example, if sales and promotions do better when offered once a week as opposed to twice a week via email, then you’ll easily be able to find this out through analyzing your email analytics and tweaking your strategy. Setting strategic goals for your email marketing efforts from the very beginning is important to ensure that your messaging is helping your business reach its full potential. To determine if your goals are being reached when it comes to your email marketing, pay attention to the following metrics when measuring success. Here are 8 metrics to help measure the success of your email marketing efforts. 1. Total Opens - Total Opens measures the number of times an email is opened. Monitor the total number of opens to your emails over time to better understand what is resonating with your audience when it comes the contents of your messaging. Compare the total number of opens between mobile and desktop devices to inform your continued strategy for reaching your customers where they are most active. 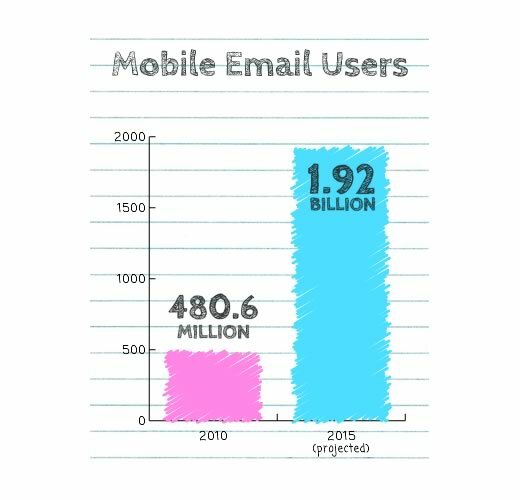 According to this chart from Rackspace, it is projected that there will be 1.92 billion mobile email users by 2015. Will you be ready? 2. Open Rates – The Open Rate is the total times an email is opened divided by the total amount of emails sent during a campaign resulting in a percentage of email’s opened. Monitor the open rates of your email messaging because it is one of the most important metrics that helps determine the success of your efforts. Increased open rates can be an indication of increased interest in your email content, as well as a sign that your click thru rates, conversions and overall revenue from your email list will soon be on the rise. Pay attention to what subject lines and promotional offers positively affect your open rates overtime to tap into the continued interest in your company from your email list. 3. Total Click Through Rate (CTR) - A click thru rate or CTR is the number of times a click is made divided by the total impressions on an a email. The CTR of your emails can help determine if the content of your email is compelling enough for your audience to click on and ideally, take action. If your open rate is high, but the CTR of your emails is low, then it is a strong indication that your email list is engaged with your company but wasn’t interested in your recent email. The point of your emails is to increase the visibility of your company and help increase revenue. The CTR as a metric is a strong indicator of increased reach and profits for your business from the traffic the clicks that your emails helped generate. 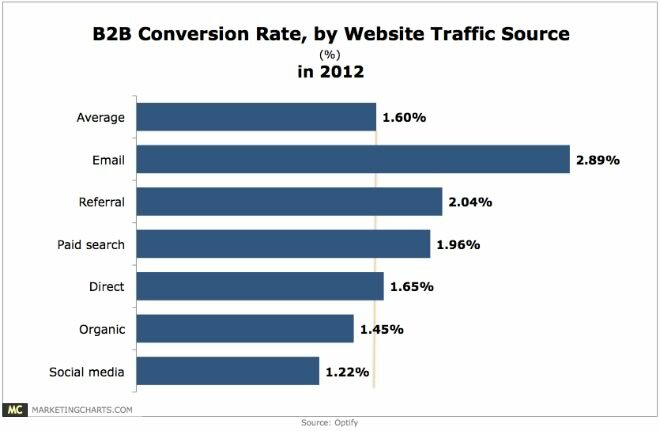 The median click thru rate in the world was 2.3%, in the U.S. 2.2%. The education, healthcare, retail and consumer products/services verticals performed the best out of all 14 industries analyzed in the post when it came to their click thru rate. The consumer products industry had the highest median click thru rate of 3.3%. 4. Abuse Reports – The abuse or complaint report is the rate at which email list subscribers marked your email as spam. Of all the marketing reports for your business, the abuse or complaint report is a metric business owners and marketers aren’t excited to see. There are many reasons a person might say your email is spam and that they didn’t want to be a member of your list any longer. It’s impossible to have a perfect list and not have people label your content as spam, but it is possible to avoid this issue with a majority of your audience. For instance, always make it easy to adjust your email settings, offer a one-click unsubscribe and experiment with the right frequency for your emails to ensure you aren’t overwhelming your audience with too much messaging. 5. Bounce Rate - Email bounce rate is defined as when an email doesn't pass through a recipient's mail server or other mail handlers, never making it to an individual’s inbox. Often bounce rate is confused with an email not making it into an individual subscriber’s email inbox. When an email actually bounces it never makes it to an individual’s inbox due the various handlers and email servers the message goes through and at some point along its journey is tagged as spam by these systems. Monitor your emails regularly to understand if the content of your emails is triggering any of these systems to block your content from getting to your customer’s effectively. 6. Unsubscribe Rate – The rate at which email subscribers remove themselves from an email list. The unsubscribe rate is a strong indicator of how your messaging is resonating or not resonating with your audience overtime. There are many ways to minimize your email unsubscribe rate, but overall it comes down to understanding what messaging your audience continually wants to see from your business. Staying aligned with the interests, opinions and dislikes of your list will go a long way towards keeping your unsubscribe rate low overtime. What is a reasonable unsubscribe rate? If your list receives less than a 2% unsubscribe rate than that is typical for most verticals. If your unsubscribe rate is higher, than it is time to rethink your approach to your email list. 7. Email Conversions – An email conversion is how well an email succeeded in converting subscribers into customers. Email marketing analytics can help your business better understand one of the most important metrics that affects your bottom line, email conversions. Email conversions result when someone finds out about your product or service offerings via an email, leading them to your website either right away or later on to make a purchase and become a customer. As compared to many other marketing channels, email marketing often converts the best as compared to other options available to advertisers. Tracking these conversion rates can help you decide how much of your marketing spend should be allocated to your email efforts, how much time should be spent building your list and how much focus should be given to continually segmenting your list. 8. Email Revenue – The total revenue generated from your individual emails or your total email marketing efforts. A lack of revenue would mean that there wouldn’t be any spend to conduct email marketing for your business. Therefore, it is extremely important to measure and attribute what revenue email marketing is helping drive. When trying to drive revenue from your emails, it is all about retaining your customers for the long-term because those are the customers that are going to spend the most on your offerings overtime. Target customers at every point of the buying process to help them stay engaged with your business and interested in your messaging for the long run. Send birthday emails, survey your audience, send empty cart emails after a few days to trigger a future purchase and send an automated follow up email once a product needs to be replenished like perfume, contact lenses or groceries to encourage the subscriber to purchase from your website again. Each of these tactics will help keep your list subscribers remain loyal overtime and therefore, increase the revenue driven from email marketing as a whole. Having a strong email list is one of the most effective methods of reaching potential customers online. One of the main reasons why emails are effective is that users choose to subscribe to your list and have the option of unsubscribing to your list at anytime. It is crucial to monitor the rate of unsubscribes from your email list to understand what is and isn’t resonating with your audience, as well as if you are losing valuable customers. What is a reasonable unsubscribe rate? 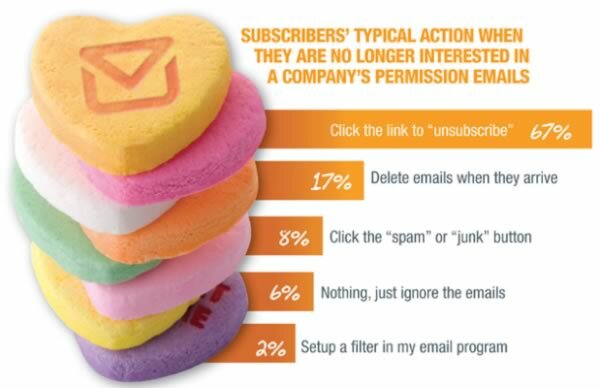 If your list receives less than a 2% unsubscribe rate than that is typical for most industries. If your unsubscribe rate is higher, than it is time to rethink your email strategy. 1. Supply original, quality content to your list. 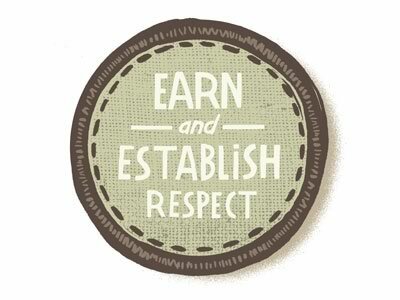 Sharing quality content is an effective means of bringing value and trust to your audience. The emails sent to your list should serve a variety of purposes, one of which should be sharing content about your business, your service offerings, the industry or any relevant news or trends. Bombarding your email list with sales and product offerings is not the way to keep your unsubscribe rate low and is quite frankly annoying. Vary the types of emails being sent to your list to ensure content from your business resonates with the different segments of your audience. Become a trusted source of information on a topic overtime and subscribers will become accustomed to regular content from your business that is fun, informative, unique, educational or outstanding. 2. Experiment with frequency, do not over do it. Set up a calendar to manage how frequently your business will be sending emails to your list. This is one of the most important aspects of your email strategy because it can have a tremendous effect on your open rates and unsubscribe rate. An email open rate determines how many people on an email list open a particular email, which is often impacted by when they receive it. Also, the unsubscribe rate is affected by the frequency of your email because if a list is receiving too many emails from a business they may become irritated and possibly unsubscribe. Experiment by sending emails at different times during the day to see what works with your audience, also test the unsubscribe and open rates for different days of the week and weekend. Once your business has established how many emails to send and at what frequency, set up a calendar to ensure consistency with your email outreach. The best time and frequency to avoid losing email subscribers varies by industry but here are some general statistics to note on the best times to send your email according to this GetResponse infographic. 23.63% of all email opens occur within 1st hour after delivery. Top clicks on email by hours are: 8:00AM, 9:00AM, 3:00PM and 8:00PM. Top open rates on email by hour are: 8:00AM, 9:00AM, 3:00PM and 4:00PM. Messages sent in the early afternoon have a better chance of being noticed with up to 10.61% open ratio and up to 2.38% CTR. 3. Segment your lists intelligently. Segmenting an email list entails separating the subscribers into different groups based on their interests, location, company size, age, gender, education level, geography, job position, industry, purchase history or other distinctions. By segmenting your email list accurately, the messaging sent to each customer is more personalized with the right context and is less likely to be irrelevant to their needs and interests. Assuring that emails sent to your customers provide the correct context is the difference between making a sale and losing subscribers from your list. To segment your list, use a reputable email management platform and utilize its list segmentation options. Start segmenting by geography and purchase history to have the most impact on the effectiveness of your list. Customize your emails to two different segments, start small and work towards creating unique campaigns for many different segmentations to make the most of your list. 4. Survey unsubscribers for feedback. When someone unsubscribes it is your last opportunity to speak with him or her directly, unless they subscribe again in the future. Set up a survey for when people do unsubscribe to poll them on why they decided to leave your list. The insights this information can offer could help prevent unsubscribes in the future. The ability to conduct a short survey is an option that most email platforms provide and it should certainly be utilized. It is essential that the survey is kept short, like this one above from MailChimp; to avoid further irritating customers while also trying to learn from each unsubscribe. Ask questions like “Did you find these emails valuable?” to ascertain actionable insights from the feedback you receive to alter and impact your email marketing strategy. If respondents answered that sample question and said they didn't get value from your emails, then revisit your approach to email content. 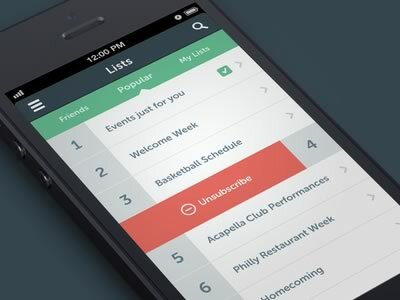 These types of insights are an invaluable way to reduce your unsubscribe rate. 5. Consider message format choices. Offering your email messages in HTML and plain text is important to give a variety of options to users using different email clients, browsers and mobile devices. Plain text emails are simple emails with no customization or formatting, while HTML formatted emails offer rich-text formatting that allows for different visual components. It is frustrating to receive an email that is broken or can’t be viewed in some way, hence why offering both options helps ensure everyone receives your messages. Not offering multiple format options for your email could affect your unsubscribe rate substantially. 6. Offer exclusive sales, offers, discounts or info. Many people unsubscribe from email lists when they don’t find value from the emails they are receiving. To help ensure your company’s emails drive value to customers, offer exclusive access to contests, sales, offers, discounts and promotions. When the emails your customers receive become their source for all your latest sales and original offers, then it becomes more difficult to unsubscribe from your messaging. Online fashion retailer Nasty Gal often sends exclusive sales to their list to incite traffic to their website and buzz about their latest product offerings. 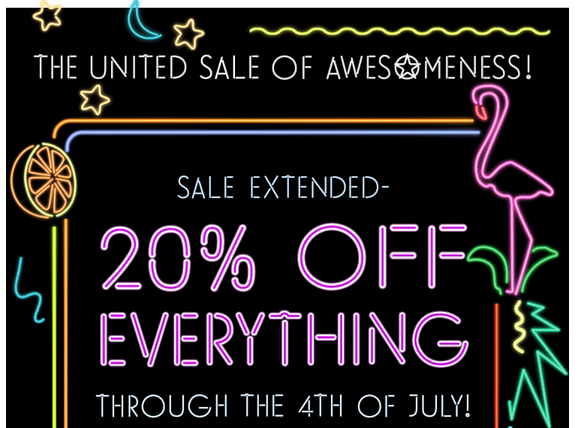 The company uses visual content and GIFs to make these email specific sales more exciting. Look to this as a strong reference on how to best utilize exclusive offers and reduce unsubscribes from your list. 7. 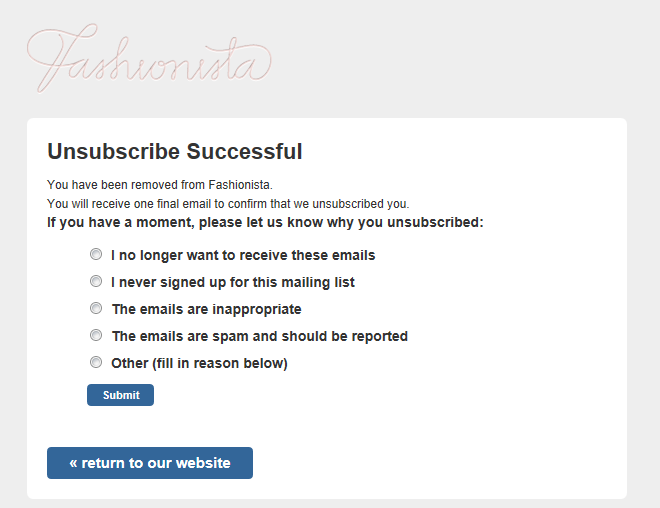 Utilize an unsubscribe confirmation email. To help combat accidental unsubscribes from an email list, which happen occasionally, set up an email auto responder to ensure that this was not an accidental unsubscribe. This email allows a customer to easily re-subscribe to your list and correct the accidental click of the unsubscribe button. 8. Simple and engaging subject lines. The subject line is another really important aspect of email marketing that has a strong effect on your unsubscribe rate. Crafting the right message for your subject line is a difficult task, since it is a vital step to getting someone to open your email. Keep it short and simple by limiting your subject line to 28-39 characters for the highest click rates. Set the expectations for the email’s content right away for your subscribers to illustrate what is inside the email. To help draw emphasis, don’t be afraid to use all caps on an occasional word, the word ‘free’ or an exclamation point. Frame your subject line as a question by targeting the types of problems your customers or leads need answers for. Leverage localization in your subject line because once again, a strong context often results in stronger actions like an open of the email, click on a link or sale on your website. The subject line is also affected by other factors as well, regardless of how it is crafted. The from field as well as the short preview both have a measurable impact on whether a user decides to take an action with that particular email Ultimately, be useful and ultra-specific with your subject lines, stand out visually with the use of brackets or uncommon capitalizations, use timely topics to your audience, include a strong call to action and constantly test different subject lines to see which are the most effective with your list. "When it comes to email marketing, the best subject lines tell what’s inside, and the worst subject lines sell what’s inside." It’s important to start sending emails about your company’s unique story and product offerings as soon as possible. The first step to sending emails on your company’s behalf is by building an email list of subscribers made up of customers, potential customers and people that interact with potential customers. Start by setting up an email sign up form to begin capturing some of the web visitors on your existing website. Once you’ve built a list of subscribers, start small and work your way towards growing your email marketing efforts to the next level. Master the design, messaging, frequency and other aspects of your email marketing campaigns by experimenting with different features and tactics to see what works best for your audience. Push yourself to develop more effective email campaigns each time with the goal of seeing higher open-rates, an increase in purchases from your emails and more visibility for your business. Monitor the emails of competitors in your industry and in different verticals to learn more about their approach to email and how your company can use their ideas and take them to the next level. It’s not about reinventing the wheel, but providing a better alternative to other businesses, speaking to the interests of your customer base and providing a quality and original product or service. Email marketing can help achieve these goals, while facilitating an ongoing dialogue with your customers base overtime. Download your copy of the "An Intermediate Guide to Email Marketing for Business" guide as a handy ebook. It also offers the highest return on investment of any type of marketing. In fact according to the Direct Marketing Association’s Power of Direct economic-impact study, commercial email returned $43.62 for every dollar spent in 2009.